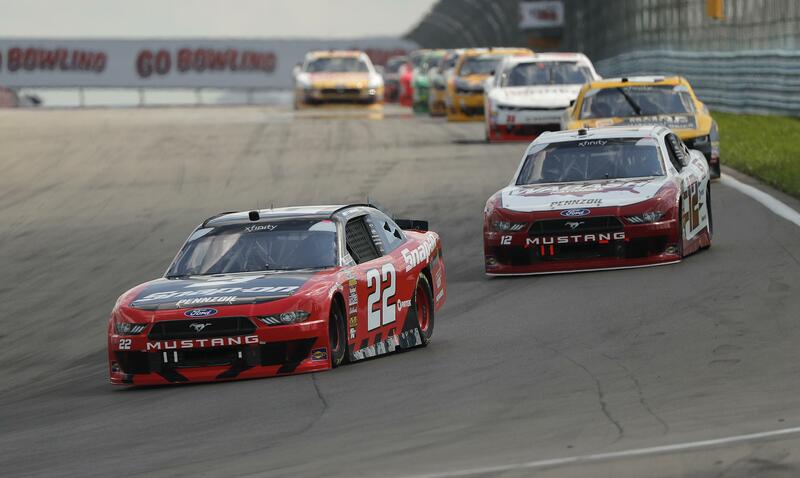 DEARBORN, Mich. – Ford will celebrate its iconic muscle car next year when it races the Mustang in NASCAR’s top Cup Series. The 2019 Mustang for NASCAR competition was unveiled Thursday at the Ford Motor Company World Headquarters. Stewart-Haas Racing co-owner Tony Stewart drove a Mustang onto a stage for the reveal with all 13 Ford Cup drivers were in attendance. The Mustang has raced in the second-tier Xfinity Series since 2011. It will compete against Chevrolet’s Camaro and the Toyota Camry. The Camaro is in its first season of competition. The Mustang debuted in 1964 and is Ford’s longest running model. The 10 millionth Mustang rolled off the production line Wednesday. The Mustang was first entered in a race in 1964 when it won the Tour de France Automobile, a 4,000 mile, 10-day rally. Published: Aug. 9, 2018, 1:13 p.m.